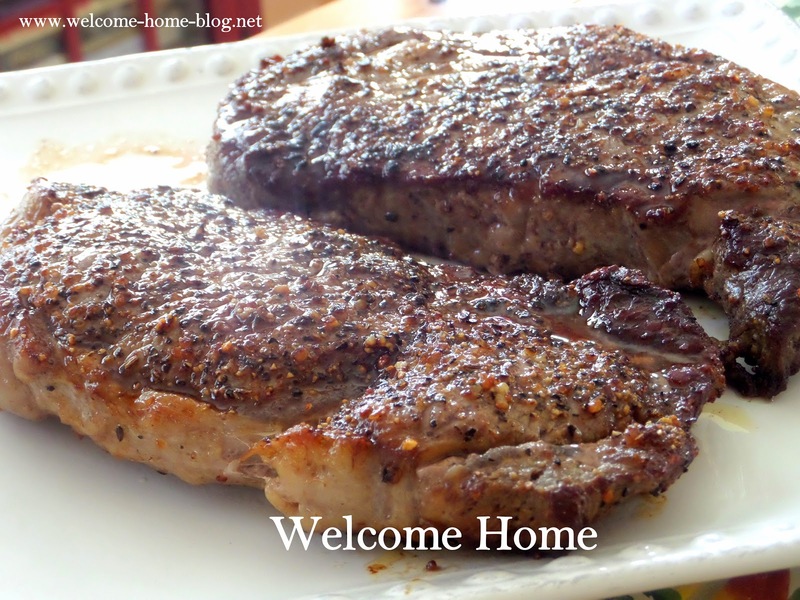 Welcome Home Blog: "No Need For The Grill Ribeyes." I call these my "No Need For The Grill Ribeyes." Why? Because you don't need one to get that incredible flavor and tenderness! 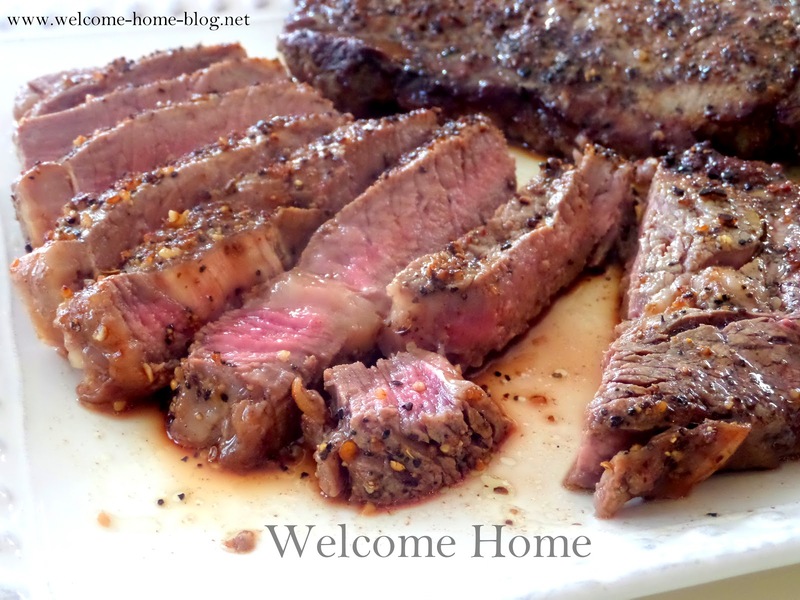 A big juicy Ribeye steak just doesn't get much better than when it is cooked in a hot skillet. Don't get me wrong, I think a grilled steak is awesome, but when you can't always grill you can get the same incredible taste by using ...this stove top method. Now it's not just about throwing a steak in a frying pan. It's about flash searing to keep the juices and flavors in. And you'll need a large heavy skillet for this. Preferably a big cast iron skillet that is well-seasoned. 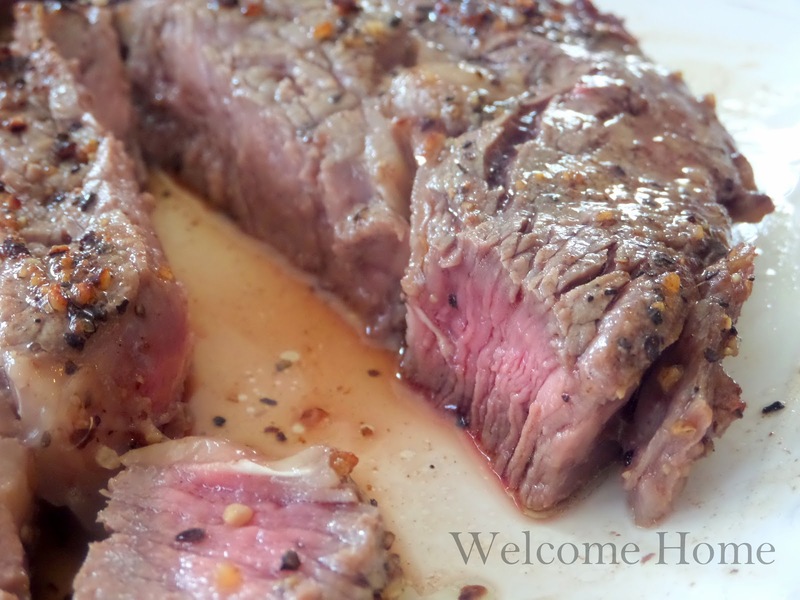 Take your steaks out of the refrigerator and drizzle with olive oil. 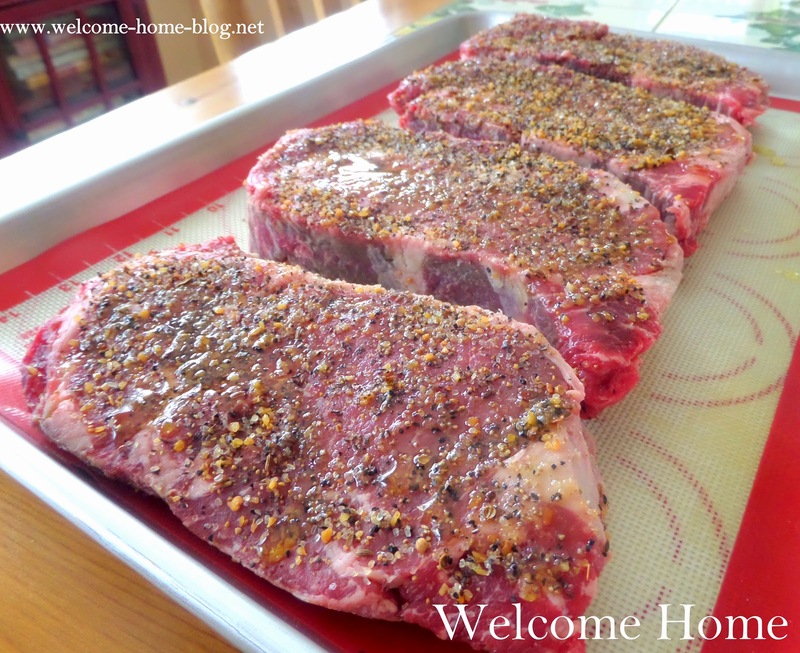 Sprinkle Montreal Steak Seasoning on both sides of each steak. Allow them to sit on the counter at room temperature for about an hour before you're ready to cook them. This will get rid of the cold spots and your steak will cook evenly. Heat the olive oil in a 12-14 inch skillet over medium high heat. You do not want to crowd them or they will steam and not sear. 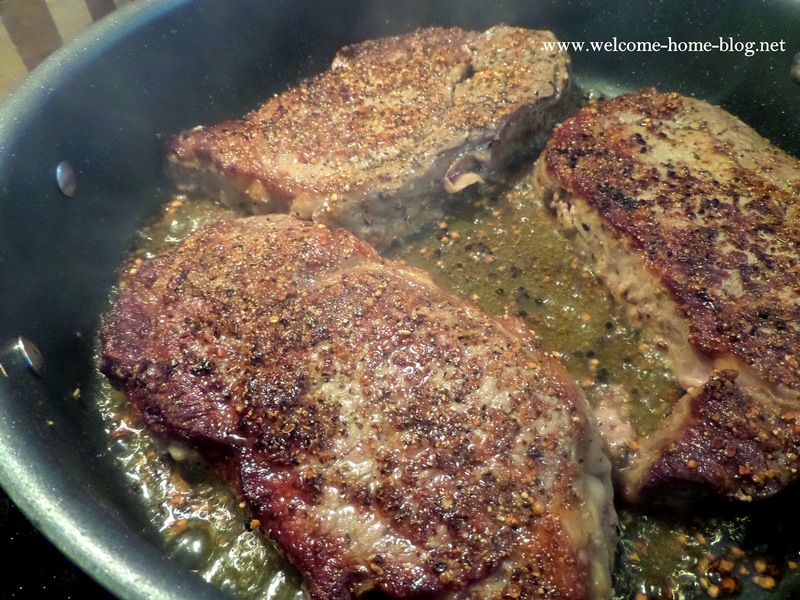 Once the skillet is VERY hot you are ready to add the steaks carefully to the hot sizzling oil. The oil should just start to ripple across the bottom of the pan and it just be just starting to smoke a little. One way to test it is to sprinkle a tiny bit of water dances and if it sizzles across the skillet, you'll know it is ready for the steaks. Cook the steaks on the first side on medium high heat for about 2-3 minutes or until they have caramelized well. Do not touch them while cooking. You want a nice sear on each side to lock in the juices. Using tongs, flip the steaks on the other side without moving. Allow the steaks to cook another 2 minutes or so for medium rare as shown. If you want medium well, add one more minute to each side. 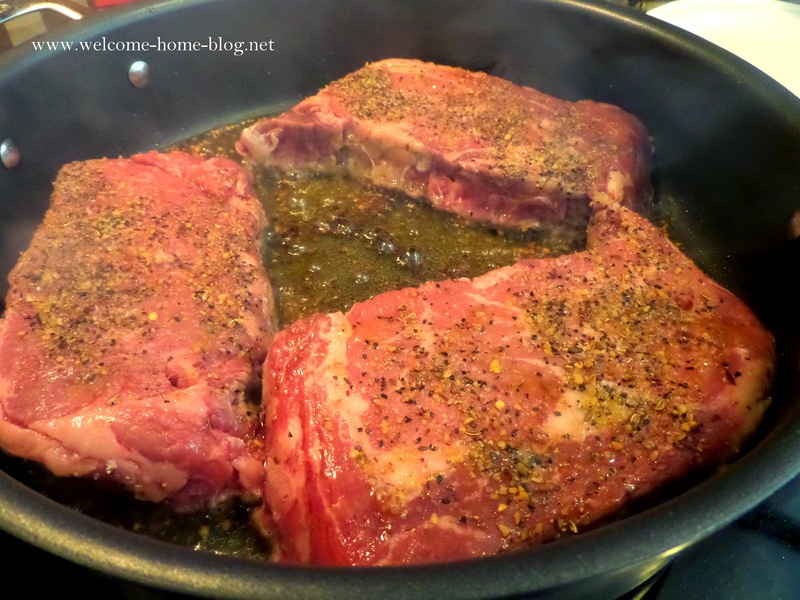 Once they have seared on both sides, put the skillet in the oven and bake at 400 to 450 degrees for 2 more minutes. Once your steak is at the desired temperature, place it on a plate and tent it with a sheet of aluminum foil and allow it to rest for about 10 minutes before serving. For Rare Steaks: touch the middle of the steak with your fingers. It should have a similar feel as when you touch your cheek. It should have plenty of give and cushion. For Medium Steaks: touch the middle of the steak with your fingers. It should have a similar feel as when you touch your chin. 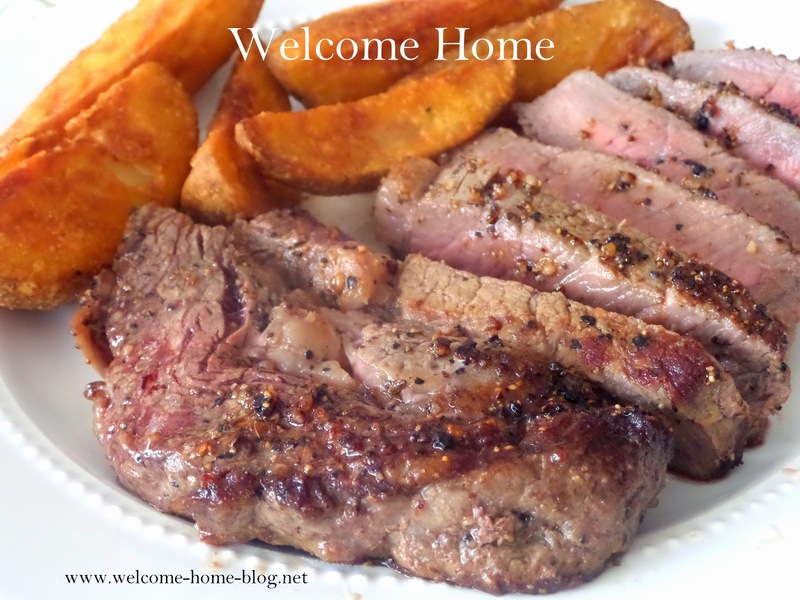 Well-Done Steaks: touch the middle of the steak with your fingers. It should have a similar feel as when you touch your forehead. The perfect meal! 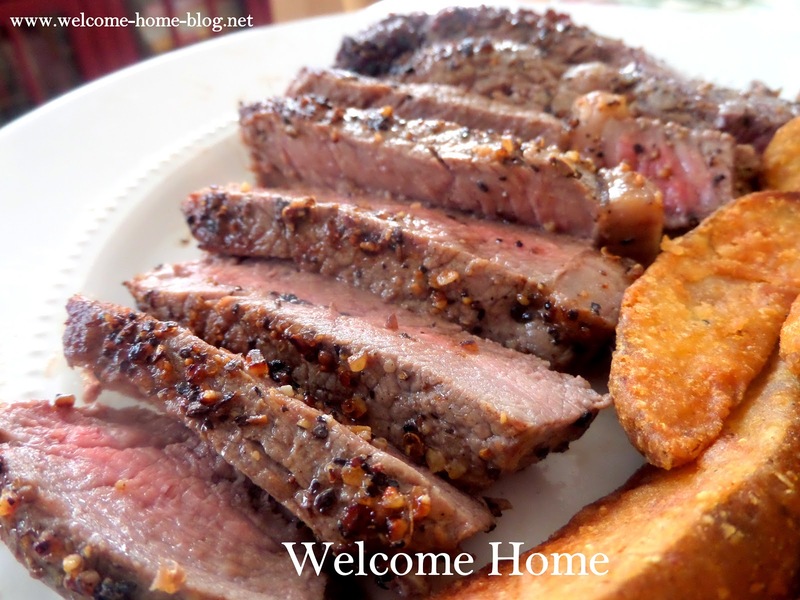 Serve with a nice side salad and baked potatoes or even chunky steak fries as shown in the photos.